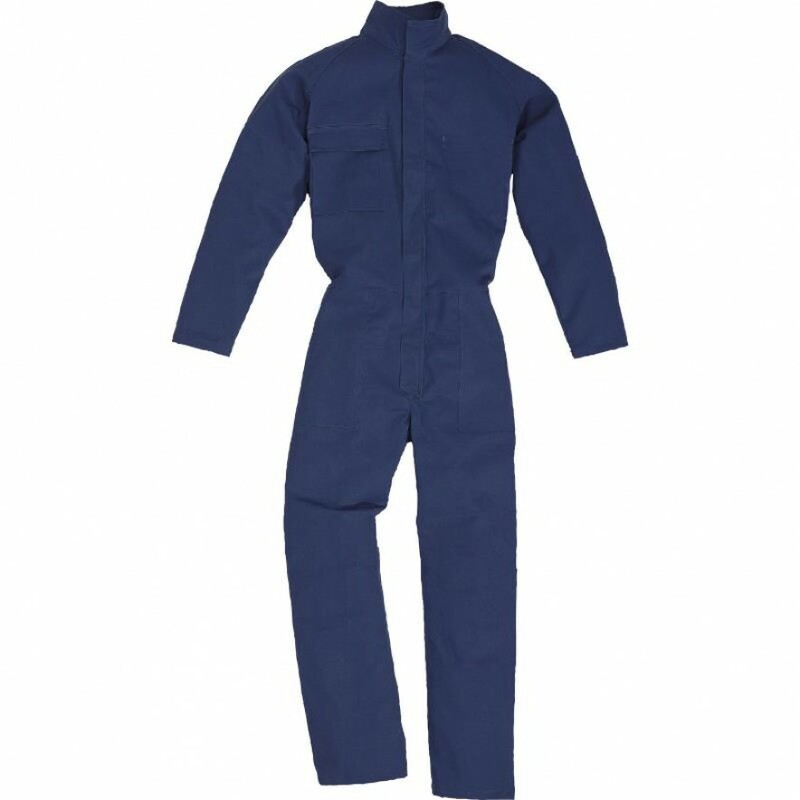 Overalls with high Mandarin collar, zip fastening with concealed studded cover, raglan sleeve with half elasticated cuffs, rear elasticated waistband. 7 pockets including ruler pocket and trouser access on both sides. Twill 100% flame retardant cotton 310 g/m². Categories: All Products, Personal Protection Equipment, Working Clothes, Working Clothes.